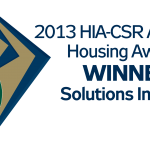 It is with great excitement we announce our success at the recent Master Builders Association Regional Building Awards last Friday. 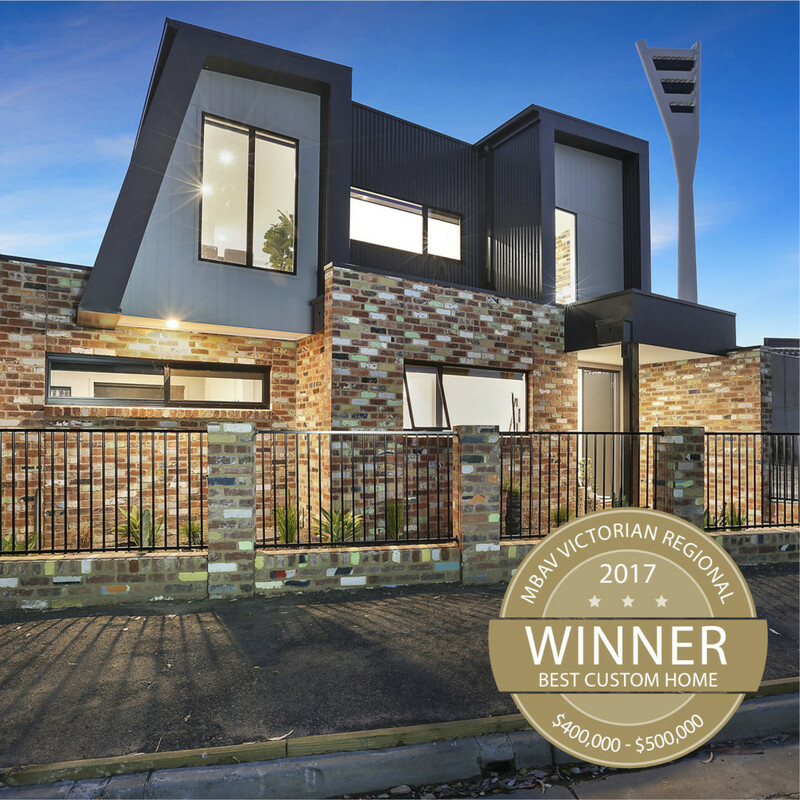 ​​​​​​​We were announced winners of the prestigious Residential Builder of the Year (South West), as well as Best Custom Home $400-500,000 for an inner city home and Best Custom Home $800,000 – $1m for a Newtown Home. 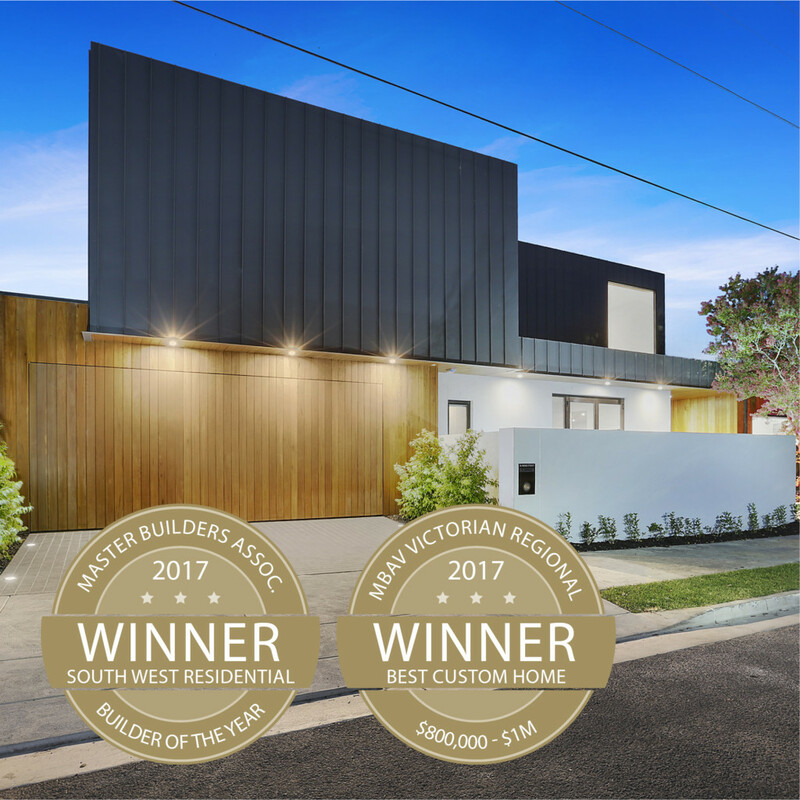 “We are focused on specialising in Custom Designed Homes $400,000 to $1 Million so winning both awards in these categories on Friday was a real honour.” Signature Homes builder Gary Watts said. “Being awarded Master Builders Residential Builder of the year award is a team effort and we appreciate the recognition for our team and trades.” Gary Said. We have been overwhelmed by all your kind words and messages of support. A special mention goes to Daniel van den Ham our in-house architect for his passion to provide an architectural design that responds to our clients’ lifestyles and the way they live. This was recognised by comments from Master Builders Association of Victoria CEO Radley de Silva. “In addition to the stout construction concealed within its walls, this home presents itself as a crisp expression of how the owners enjoy spending time. Spaces move cleanly throughout the home occasionally revealing novel details like an indoor putting green and a poolside theatre,” Mr de Silva said. “This is a home that doesn’t hesitate to leave its signature on the neighbourhood,” Mr de Silva said. At Signature Homes our promise is to design a home you are proud of. Just like these award winning homes the journey all begins with a FREE design consultation session with our award winning in-house Architect. We help our clients create the best custom home for their budget. Free Architect Design Consultations are subject to availability and strictly limited to two appointments per week. If you haven’t already secured a free design session with our in-house architect, contact us today 5229 2929.